Just 30 minutes on the train from Amsterdam, Utrecht is a charming city with beautiful canals. 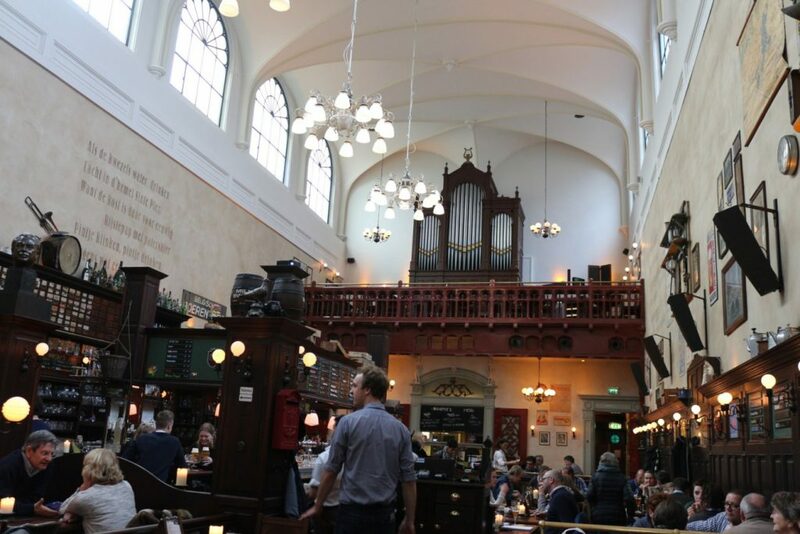 We’ll share some of our favorite things to do in Utrecht. 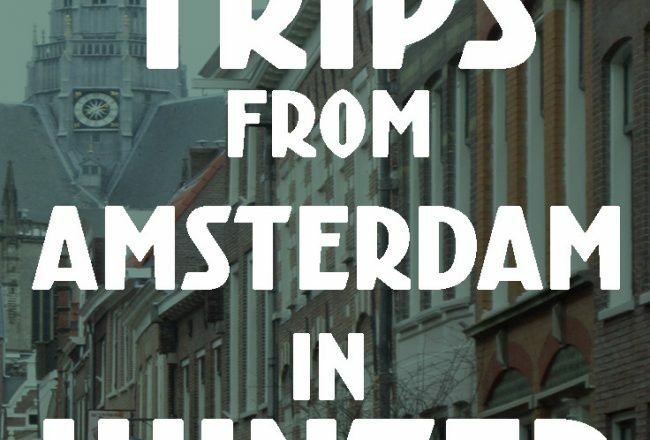 It’s the perfect day trip from Amsterdam. Unlike other Dutch cities, the canals of Utrecht have broad walkways (called werven or wharves) almost level with the water as well as spaces for cafes and warehouses carved into the canal sides. The lovely trees growing from these banks also make this a beautiful place for a walk and some Utrecht sightseeing. 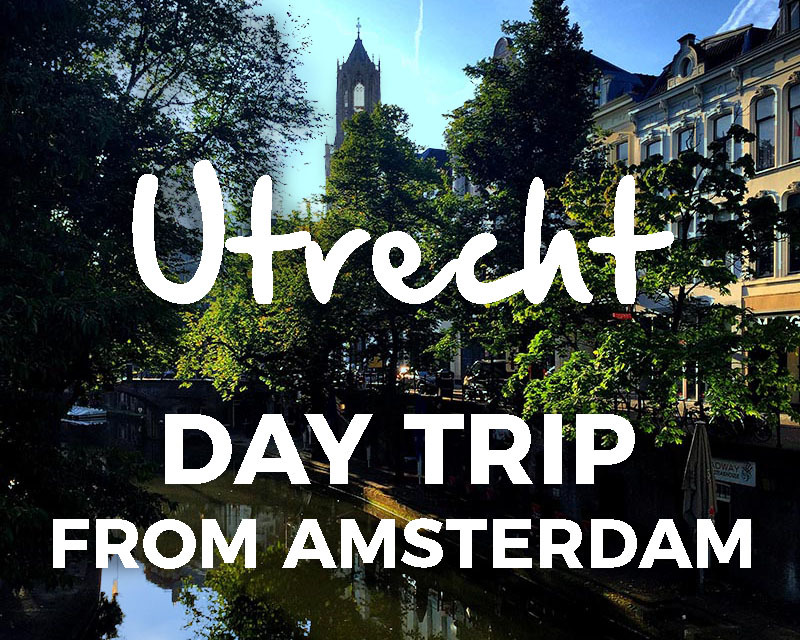 Let’s hop on a train and visit Utrecht for the day! There’s lots to see. Catch the train from Amsterdam to Utrecht at Amsterdam Centraal and get off at Utrecht Centraal. Utrecht is only about 30 minutes on the train from Amsterdam. You’ll arrive at the bustling train station and walk out through the shopping center into the middle of town. Head toward the Oudegracht to start your adventure. Here is your Utrecht one day itinerary. Start your day off right with a delicious coffee. My favorite spots in Utrecht are Village Coffee & Music and 30ml. After you have your caffeine fix, perhaps you’d like to pop into an Utrecht museum. The unusual museums are unique things to do in Utrecht and a fun way to spend part of the day, especially if the weather is not so nice. One of Utrecht’s most unusual museums is the Speelklok Museum. What is a “speelklok” you may ask? Basically it’s a clock that plays music, like a grandfather clock. 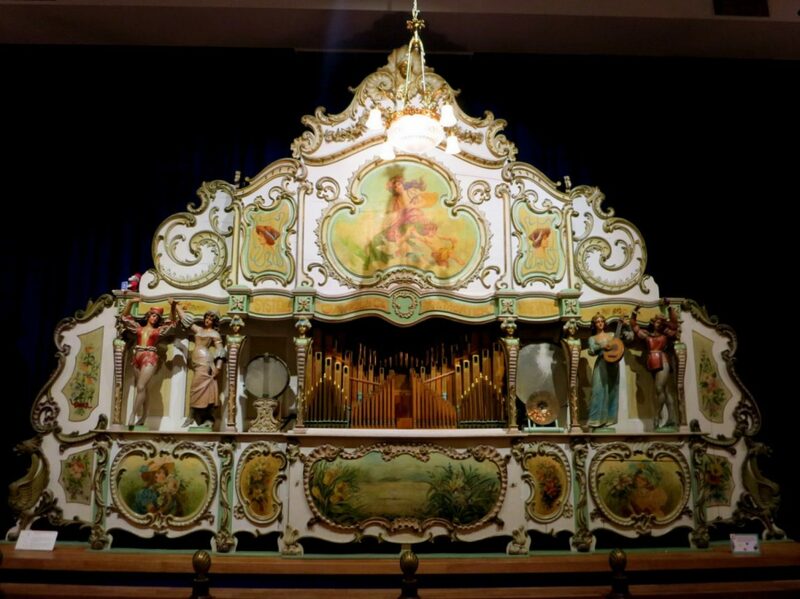 This museum housed in an old church has amazing examples of clocks but the most fascinating are probably the collection of street organs and dance organs. The museum staff leads regular tours through the exhibits and plays these antique machines. You can imagine the dancers twirling to the tunes in the olden days. You’ll also find music boxes and many other fascinating items. Get your tickets to the Speelklok Museum here. If you like the Speelklok Museum you may also enjoy the Spoorweg Museum, dedicated to trains. It is located in a lovely former train station at Maliebaan which you can reach with public transit from the city center. The museum is definitely oriented to children but adults who enjoy history, engineering and transportation memorabilia will also enjoy it. Many old train engines and cars are housed here including the compartments for the King and Queen. There is even a fun ride and interactive exhibits. Definitely worth a visit, especially if you are with kids or are a kid at heart! 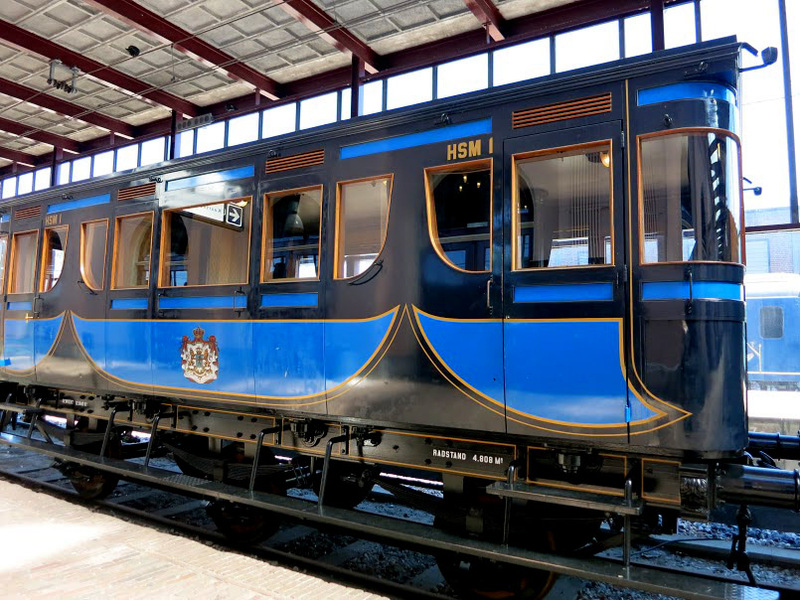 Get your tickets for Utrecht’s Railway Museum here. Of course Utrecht also has fabulous art museums and many monuments you can check out if the above two are not to your taste. You can find more tips on The Weekend Guide. Getting hungry yet? My favorite way to dine in Utrecht is canalside, it’s what locals do in Utrecht on a nice sunny day. I usually pop in to Stach and grab a sandwich or rice paper rolls and wander down to the werven for a bite near the water. If you are in the mood for a healthy salad you can head to SLA and eat there or takeaway. After lunch it is time to get the blood flowing. 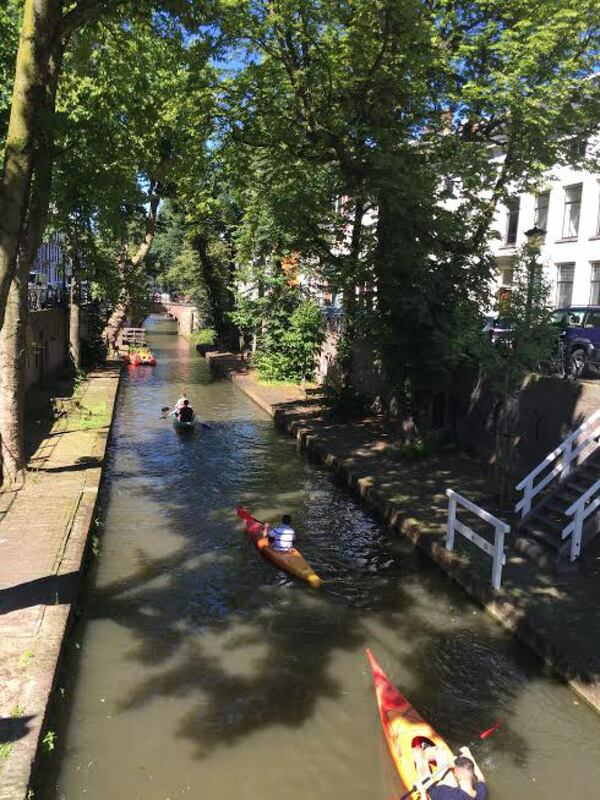 If it is a nice day why not rent a kayak and go for a short paddle around Utrecht’s canals? Look for Kanoverhuurutrecht on the Oudegracht wharves. Don’t fancy paddling your own canoe? Why not hop on a fun canal cruise! It’s always nice to see a city from the water and Utrecht is no exception. If you have already done this in Amsterdam you might really enjoy it as Utrecht’s canals are so different. If the weather is not so fine, make your way to another museum or perhaps have some retail therapy in the vintage shops along the Oudegracht, it’s some of the best shopping in Utrecht. Feel like a workout? Climb the 465 steps of the highest church tower in the Netherlands for amazing views over the city, it’s one of the most popular things to see in Utrecht. You can visit the Domtoren on a guided tour and don’t miss the adjacent Domkerk and Pandhof cloister gardens for a peaceful place to relax. The center of Utrecht is small and charming, but the city is actually quite large. If you are in the mood for an adventure, hop on a bike and head out to Maximapark to explore. I recommend visiting the Vlinderhof, a small garden created by famous Dutch landscape designer Piet Oudolf. It’s definitely one of the unique things to do in Utrecht. Now you are probably ready for a nap or a drink, or maybe both! Do you like beer? Visit another church, but this one with a bar inside. Olivier Cafe is a popular Belgian beer bar in the city center. You could also have dinner or simply snacks here, they have traditional Belgian and Dutch delights. If you are looking for something a little more exotic for dinner, why not try two of my favorites. Yum Saap has tasty Thai style street food and fun colorful decor. Or sample Syrian food with a European twist at Syr, an innovative restaurant that also has a cool cultural program. After dinner you can stop at one of Utrecht’s many fun bars. Just pick one that suits your fancy! If the weather is good grab a seat at one of the cafes along the werven. If not, snuggle inside a cozy cafe. Utrecht nightlife and entertainment is not as exciting as Amsterdam but there is always something going on. 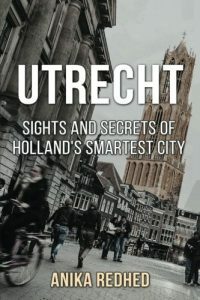 What are some things to do in Utrecht at night? Check out a show at Tivoli, head to Club Poema for some electronica or go to ’t Oude Pothuys for live jazz or a singer/songwriter. Trains to Amsterdam go all night, but after midnight they only leave once per hour. So don’t miss it! Use the NS app or 9292.nl to check the schedules. Another option of course is to spend the night in Utrecht. Or what about a weekend? You can also find lovely places in Utrecht on sites like Airbnb. Use this link to register and you can save €30+ off your first reservation! 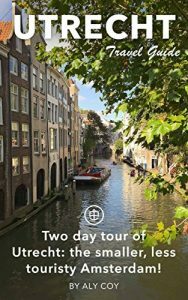 We hope you enjoy your day trip to Utrecht and we gave you some ideas of Utrecht from Amsterdam things to do. 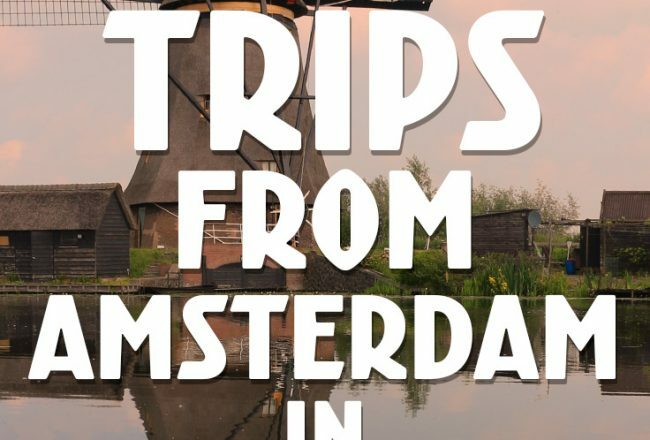 Looking to explore other areas outside of Amsterdam? Check out our Getaways for guides to places like Rotterdam, Haarlem, and Antwerp. 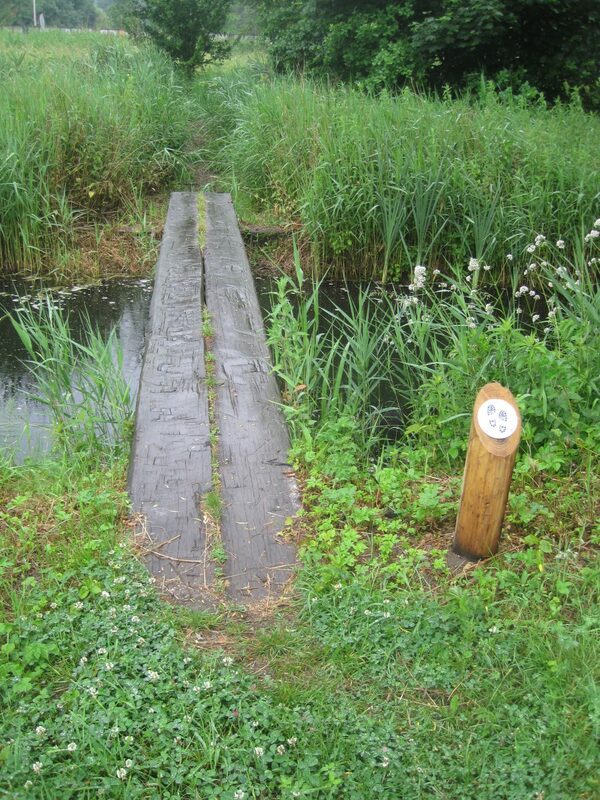 Or check out ideas for bike rides near Amsterdam to Ouderkerk Aan de Amstel, Waterland or along the Brettenpad. 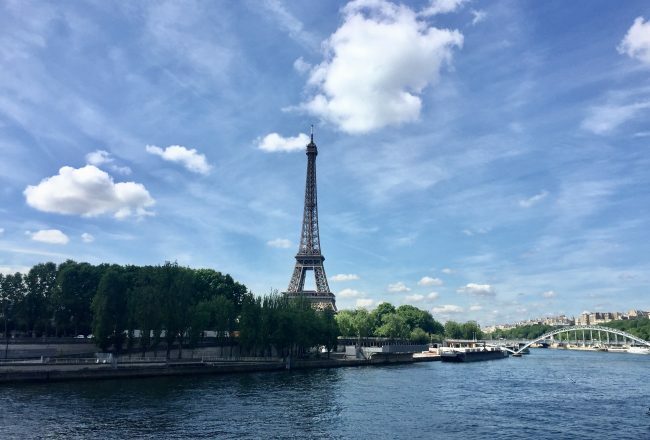 For more fun trips around Europe (and beyond) check out The Weekend Guide. We like to inspire people to travel and explore places both near and far. 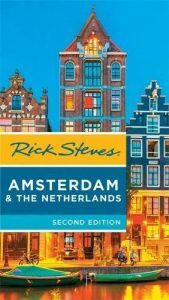 It could be a stroll through an unfamiliar neighborhood in your own city, a day trip to discover a nearby town, an outdoor adventure, a weekend getaway to recharge, or an epic journey to the other side of the world!